Chinese Paper Cuts have been a traditional form of decoration in China at Chinese New Year and all year round for thousands of years. 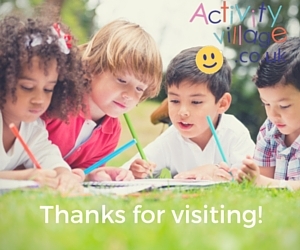 Why not have a go with the kids? 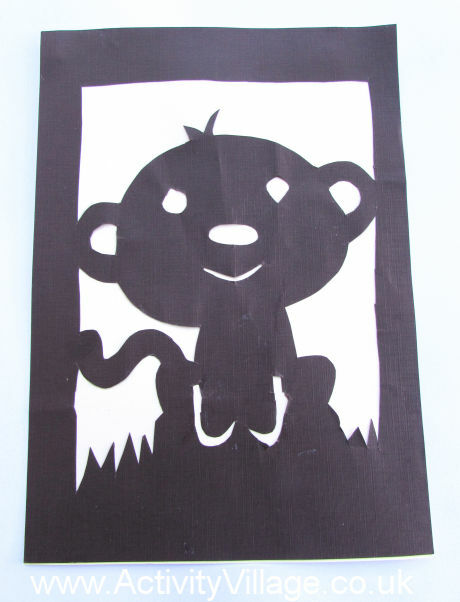 This craft is best for older children, as they will need to plan their design carefully and use sharp scissors to cut it out successfully. Try a symmetrical pattern by folding the paper and taking snips out of it, or design something a little more advanced. You might also like to learn more about Chinese Paper Cuts here. 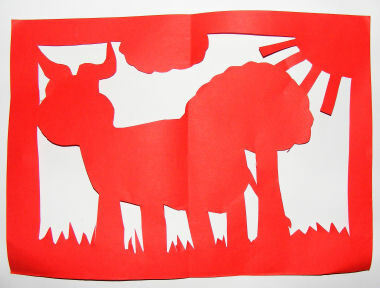 Here's our latest Chinese paper cut - for Year of the Pig! 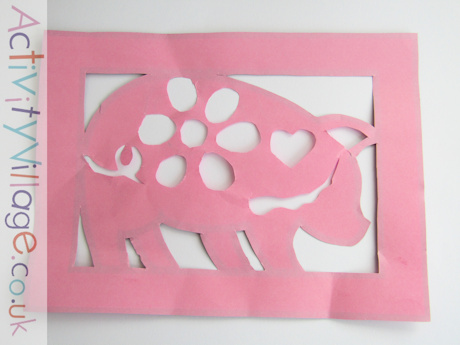 We provide a template for this Pig Paper Cut here. 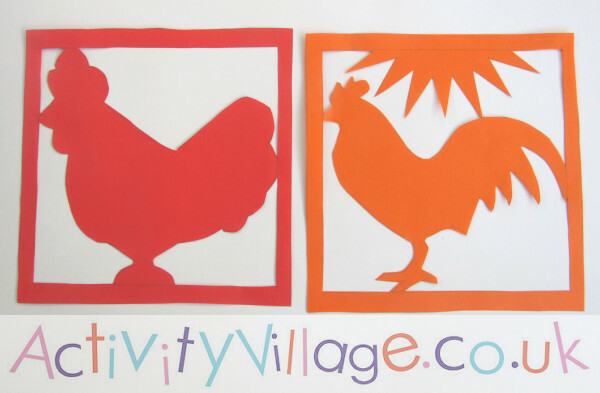 We did two rooster paper cuts for Year of the Rooster 2017 - one with a simple outline and one much more tricky! We provided templates, too. Start by drawing a border around your paper, to act as a frame and to hold the paper cut together. 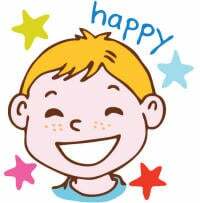 Now design your picture, making sure that all the parts of the picture are touching another part! Using a pair of small sharp scissors (like nail cutting scissors), cut out the holes in between your lines. 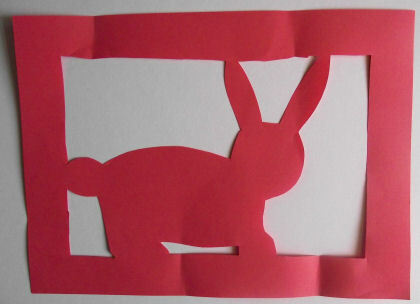 Stick your paper cut onto a window or a contrasting piece of paper to show it off best. Here's last year's paper cut, for Year of the Monkey, 2016. We used this colouring page as inspiration, if you want to have a go! 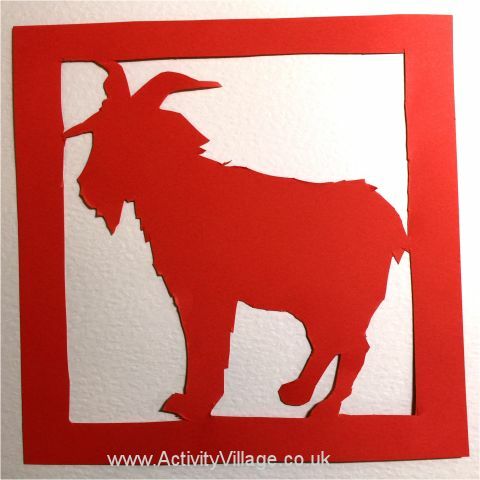 Here's our Year of the Goat paper cut for 2015. We have a template for this design if you want to have a go! 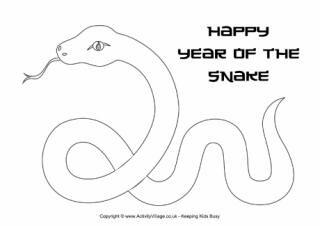 We based our Year of the Snake paper cut on this printable, but did have to adjust some of the snake's body so that we had more points touching the frame, for stability. 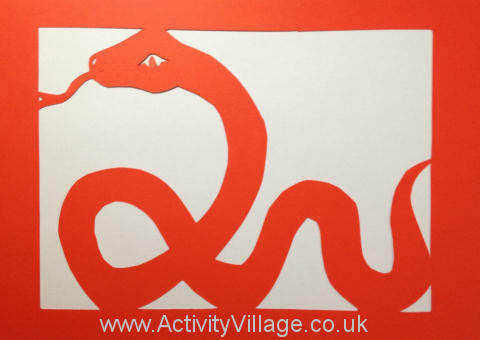 Here's a much simpler snake paper cut that younger children can enjoy! 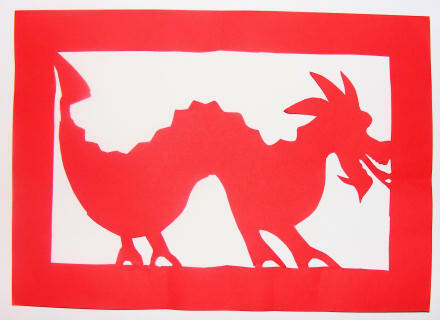 Sarah's 2012 Year of the Dragon paper cut - isn't it spectacular? 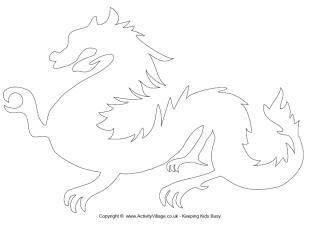 If you want to try a dragon for yourself, you might find this Chinese dragon template helpful. Our Year of the Tiger paper cut. 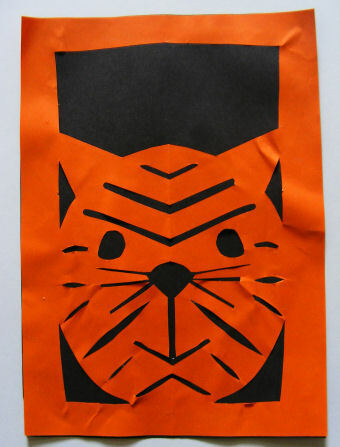 We broke with tradition and used orange for our paper cut and black for a background. The art of Chinese paper cutting has been prized for many thousands of years. Paper cuts are used for decoration, given as gifts, and are regarded as lucky. Traditional paper cuts often showed celebrations, weddings and feasts, but now all sorts of motifs are used. A popular old-fashioned noise-making toy, the Chinese drum (rattle) is twisted in the hand so that the beads bounce of it and make a noise. With practise you can get a good rhythm going! 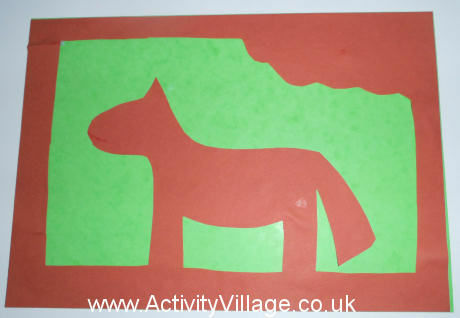 Here's one the kids can make themselves..